Yeah Racing – GC301 drift gyro spotlight « Big Squid RC – RC Car and Truck News, Reviews, Videos, and More! What’s up drifters? Evol here with some more cool kit for your RC drift car. This week I got the new Yeah Racing GC301 drift gyro to help you get your slide on. It’s a funny thing about gyros, some consider them cheating, but on RWD they are considered almost necessity. On the 4WD side of things I used to have the same opinion that if you were running a gyro then somehow you weren’t really doing it, or you were less of a driver. But I think peoples opinions of them are changing as they become more mainstream and standard equipment in some cases. Some of the large manufacturers are now including this functionality in their receivers and billing it as “stability control”. Whatever you want to call it, it’s still a gyro giving steering assistance to the driver. My own stance on them changed the moment I got a RWD drift car. I tried to drive it with no gyro and it became quickly apparent that even my elite (by my own measure) driving skills could use some help in this area. My stance on them in the 4WD arena also softened when I read a heart felt review from a father who desperately wanted to be able to drive drift with his son and could never get the hang of it until he installed one of these little doodads. Whatever you think their merits are just like any technology they are probably here to stay so we might as well get used to them. When RC Mart contacted me about taking a look at this new little unit from Yeah Racing I jumped at the chance. 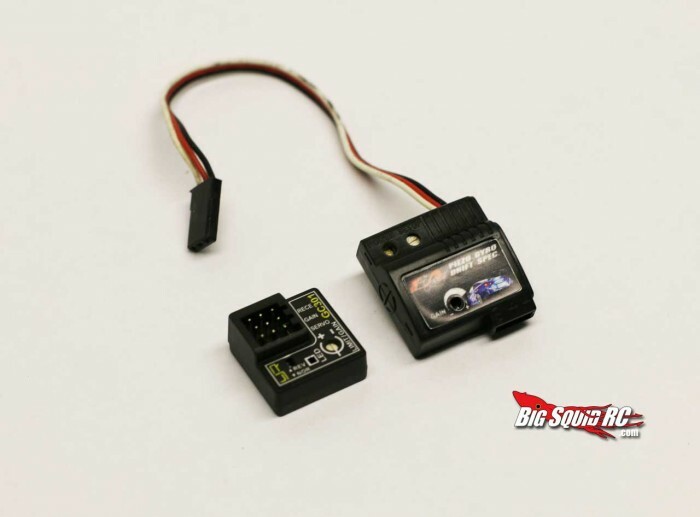 I’ve tried a couple of different versions on my car from the low end Piazo version that comes stock with the Eagle to a high end Futaba Heading hold gyro for 3D helicopters. How does the GC301 compare? Read on! The first thing you notice is the tiny footprint of this thing. Smaller and lighter is always good but is it at the cost of features? This little guy weighs in at a minute 3.6 grams. Its small size and light weight make it ideal to tuck it in those tight locations. You could also easily hide it on the chassis if you didn’t want to risk losing your street cred. This small form factor comes at the cost of a couple of features that I would have liked to see on it but they are minor gripes. For one they have ingeniously integrated the gain pot and the travel pot. It’s kind of neat how this works actually and it has to do with its next feature. Remote Gain. These are features you would normally see on much higher end gyros. The fact that they have put them on a sub 20 dollar gyro is pretty impressive. The remote gain feature allows you to connect a 3rd channel from your receiver to the gyro to be able to adjust the gain from the radio without having to break out the screwdriver or even take the car back to the bench. That’s pretty cool. When the receiver is in this mode the “pot” (adjustment potentiometer) serves as the travel limiter. This is sort of like setting the end point on your radio. This keeps the gyro from over driving your servo into the steering stops potentially damaging your servo. It is amazing to me that this feature is completely missing on some entry level gyros. Alternatively when you do not have a lead plugged into the remote gain plug on the gyro the pot becomes a gain only adjustment. Admittedly when in this mode your travel limit is non existent but my gyro still never exceeded my preset end point so I’m not sure if it remembers those settings when switching back and forth. In any case in both modes it performed really well, but I’d still rather both adjustments had their own pot on-board. 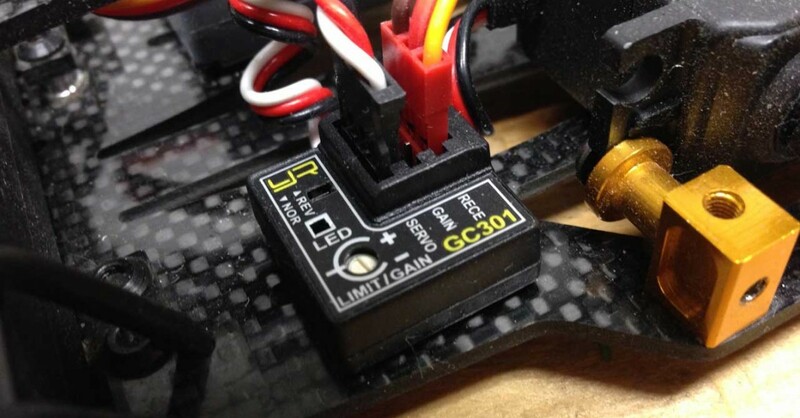 The GC301 also features a reverse switch on it which is nice in the case of changing servos you don’t have to remount the gyro if the directions are reversed, a very convenient feature. The Gyro includes all servo leads required to get it going right out of the box. Once I had my reverse switch properly oriented I was off drifting immediately. At full gain on my radio I could feel the gyro doing its thing but it just didn’t feel like it was doing all it could. I raised my end points on the my transmitters gain channel to max and there was an improvement but it still didn’t have that locked in feel. At full gain the servo should begin to “hunt” and then you turn it down from there until you have maximum gain without any twitch. I could not achieve this with it connected to my transmitter. It’s possible the issue could lie with my radio so I can’t say if the gyro had an issue or not. It would probably not even be noticeable if you were running less than about 60 or 65% gain. I decided to pull the remote gain lead and try to adjust it manually. Immediately I had improved performance. With a few tweaks on the gain pot I had my R31 drifting like a pro. Control was way better and more stable with this gyro vs. my old Piazo. The GC301 has way better consistency in its steering throw. My old gyro would almost always over travel it’s end point making a bit of a crap shoot how much throw you were going to get when you tossed it into a drift. It also centered very poorly. 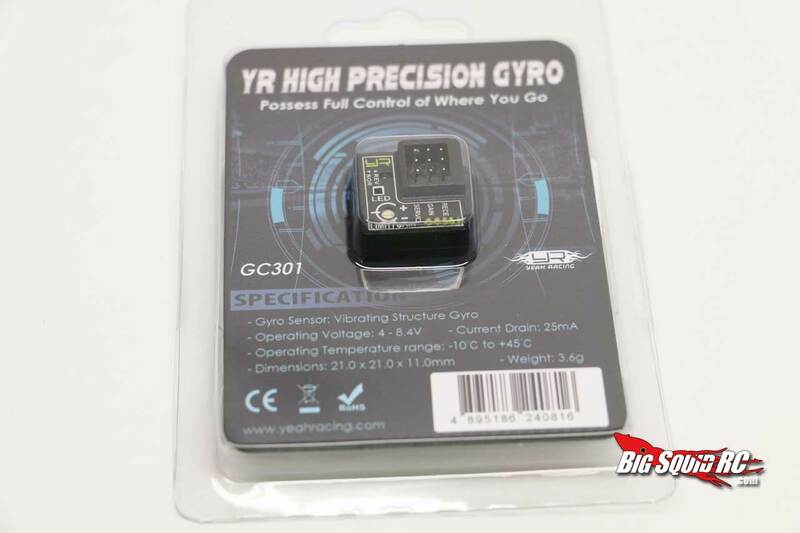 The feel of this gyro is amazing for the money, easily on par with gyros 4 or 5 times its cost. In extended testing it didn’t have any thermal issues (admittedly it was a very cool evening to test in) and it remained rock solid and locked in all night. All in all this gyro is a must buy if you’re in the market. Its price can’t be beat for what you get. Yes I would have liked to know why I could not achieve maximum gain with the remote gain feature but really you don’t need it. Once you have it dialed in you should not have to adjust it again so this little detail definitely is not a show stopper for me. I think this gyro is a great value for the money. If you would like to see more details on the GC301 check out Yeah Racings website here. 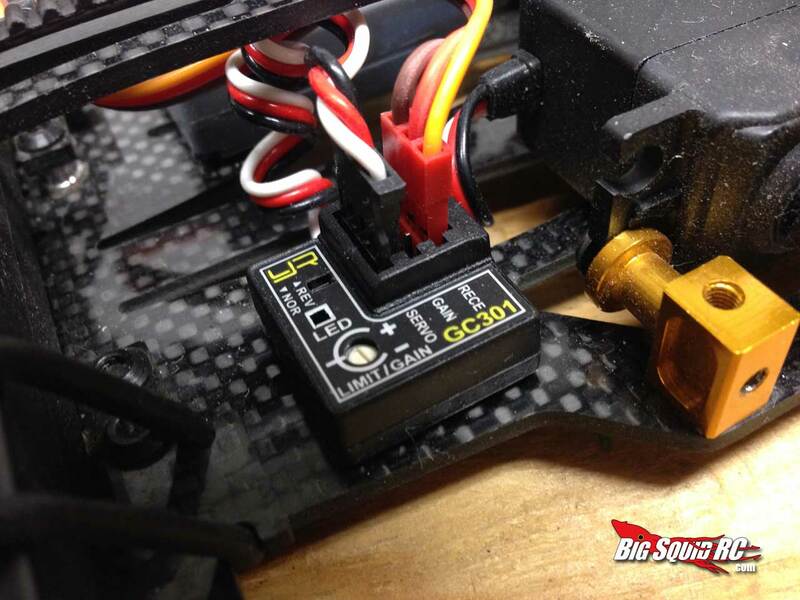 If you would like to purchase the GC301 you can find it on RC Mart here.